Intuit QuickBooks Cash Register Plus is a Point of Sales (POS) software that turns the computer into a ringing cash register and more, effecctivelly replaces a retailer’s cash register, tracks sales and customer information, and provides reports for managing their business and serving their customers. Intuit QuickBooks Cash Register Plus is the most basic edition of Intuit retail POS solution, but it still far more superior than cash register, and is cash register, rolodex and spreadsheet all in one. Ring up sales and accept credit card payments (to accept credit card payment, retailers have to apply a merchant account through Intuit Merchant Services for Intuit Cash Register Plus). Track customer information to provide better service. Run reports that give you key insights into your business and reference to make informed decisions. Balance and reconcile your cash drawer quickly and accurately with a simple wizard at the end of business day. Save time on bookkeeping by transferring data right to QuickBooks. 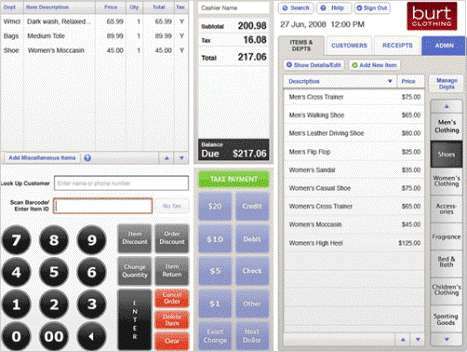 Simple screens that look just like a cash register make it easy to learn and use. Able to support and connect with essential retail hardware and peripherals such as receipt printer, cash drawer and credit card swipe reader. 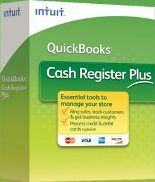 Intuit QuickBooks Cash Register Plus is retailed at $299.95. Now, everybody (probably only useful to shop owners and retailers) can get a download edition of Intuit QuickBooks Cash Register Plus 2009 for free without cost. The promotional offer does not require any coupon code, and is originally expired on December 15, 2008. However, the offer is still opened and valid for free download. Complete the checkout process, you will need a company name and valid US or Canada address. The checkout amount is $0, and no credit card required. The license key and product number for future activation together with download link to Setup_CashRegisterPlus2009.exe will be shown on screen and emailed after the process completed. An account with Intuit will also be created to record the free purchase, allowing genuine license owner to re-download the files again for at least 3 years free of charge.